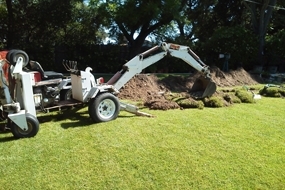 –This week Paso Robles septic company Ingram & Greene have officially joined the city of Atascadero’s Chamber of Commerce. For over 60 years the company has been under family management, and performed many complex jobs throughout the Central Coast. 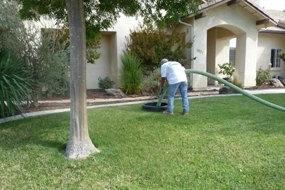 Established in 1952, Ingram & Greene is the longest running Paso Robles Septic Tank servicing company in SLO County and has for many years been a part of the city of Paso Robles’ Chamber of Commerce, alongside other notable local businesses. This week they have officially become members of the Atascadero Chamber of Commerce alongside many other prominent businesses such as SESLOC Credit Union, Eagle Ranch, Atascadero Mutual Water Company, Wysong Construction, Kennedy Club Fitness, Energies Rising, Five Star Rain Gutters Inc., Atascadero Waste Management, Twin Cities Hospital, and many others. Ingram & Greene have for many years been servicing the entire Central Coast and been active members of the community. In their 60 years of service, they’ve proven themselves a reliable, trustworthy family-owned business while establishing a solid reputation in the county for their quick response times and will to travel all throughout the Central Coast to help those in need. In addition to serving common areas of the county such as Paso Robles, Atascadero, San Luis Obispo, and Morro Bay, Ingram & Greene also serves areas such as Templeton, Avila Beach, Arroyo Grande, Baywood Park, Lompoc, Cambria, Cayucos, Creston, Grover Beach, Nipomo, Oceano, Pismo Beach, and even Ragged Point. Ingram & Greene is a family owned and operated business established in 1952. 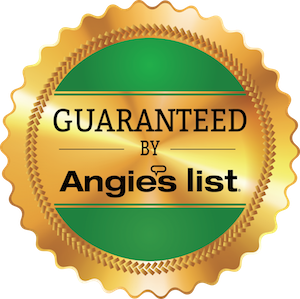 For 60 consecutive years they have remained unmatched and relentless in their willfulness to help those in need of quality septic service. 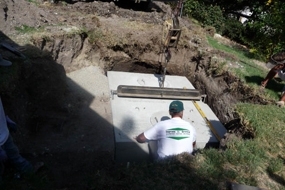 Ingram & Greene know that in an industry like the septic industry, it’s crucial to know what you’re dealing with. 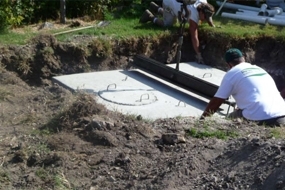 Luckily for their customers, they are well-versed in the make-up of the average septic system and offer a wide array of services, from septic and grease trap pumping, repairs and installations, city sewage hookups, hydrojetting sewer lines, electronic tank and line locating, certification and inspections, power snake cleaning, underground utilities, and more!